Alanda October 18, 2017 Leave a Comment This post may contain affiliate links. 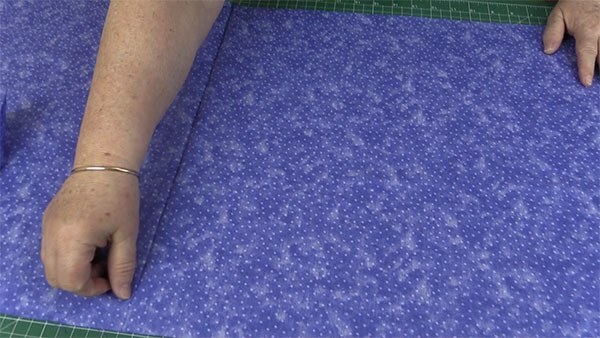 In this tutorial, you will learn how to make your own fat quarters from yardage. 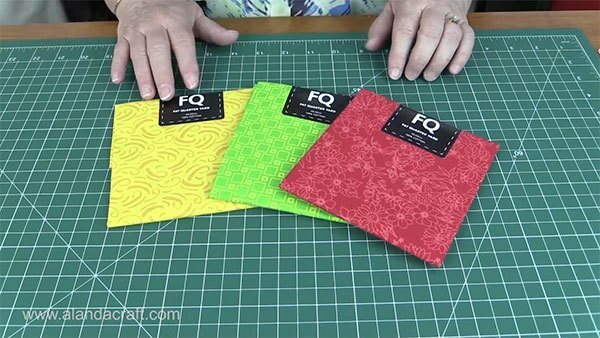 If you have been making quilts or small sewing projects, then you have probably already heard of fat quarters. A fat quarter is a pre-cut, pre-packaged piece of fabric that generally measure 18″ x 22″. You can buy fat quarters at your local fabric store or online and there are usually plenty of colours, shades and hues to choose from. 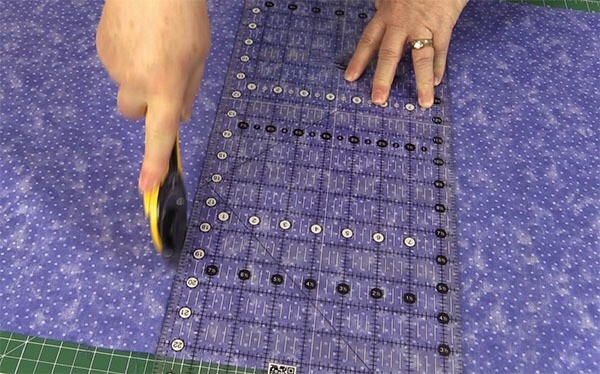 Even so, sometimes you may have a project on hand that calls for fat quarters and you may not have the right ones on hand, or you may want to use a particular fabric you already have in your stash, so in this video we show you how to cut your own. It’s a piece of fabric measuring approximately 18″ x 22″ (46cm x 56cm). Quilters and patchworkers generally use fat quarters because of the shape and size. A normal quarter of a yard cut from a bolt would measure 9″ x 44″(112cm x23cm), so you can see why fat quarters are so much more useful for projects. Take ½ yard of fabric, that is still folded in half across the width of fabric. It’s important to note that the long edge of the fabric should measure at least 22″ or more. You will see a fold line in your fabric. If your fabric has been folded perfectly, ie. the selvedges line up perfectly, then you can use that fold line as a guide to cut. 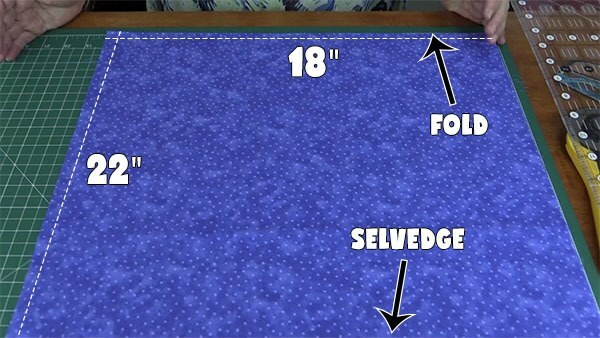 If your fabric has not been folded correctly then simply measure 22″ along the long end and cut. You will now have two fat quarters. Here in Australia oftentimes, fat quarters are cut using a ½ metre of fabric. The fat quarters will be a slightly different as they generally measure 50cm x 55cm (20″ x 22″).